What is prana and how does it help in energy treatment? Prana is the word of a Sanskrit origin, which in translation would mean what it enters into itself and accepts it. In other words, prana is the life force of cosmic origin, which we inhabit daily through inhalation through the respiratory system. Prana is a vital force, invisible bio energy that keeps our body alive and healthy. The use of prana energy treatment was also used in traditional medicine of the ancient peoples. In the Japanese prana is called KI, in Chinese it is chi, and in the western countries it is labeled as Rauch, which means breath of life. On what principle prana is based? Everything we bring into ourselves is brought through our mouth and we breathe through our nose. Since respiration is more important for our lives, the bulk of vital life energy is also introduced into the respiration. Accordingly, the great importance of proper breathing during yoga is connected. Food is in the secondary place, because human does not have a complete need for food as it is for air. Accordingly, the main centers of the prana are taken: head, mouth, nose, heart, lungs, and navel and bow fingers. The basic principle of prana as well as all other energy treatment methods is the establishment of a disturbed balance in the body, the determination of blockages in the chakras and the return of the life energy flow into the normal. When all the centers are in line and functioning, the prana is in function and is not broken. In contrast, distorted prana is a sign of disease in the body. Body toxins, intoxications, poor nutrition, aging process, frustration, suffering, restlessness, and physical and mental shock disturb life force. Healing is achieved by simply removing the negative and painful energy from the body, and then fresh and clean PRANA is provided. Panic treatment is used to prevent and alleviate and heal in physical, emotional and mental illness. How is pranic healing done? Treatment with prana can only be performed by doctors, physiotherapists, energy therapists, and yoginis. 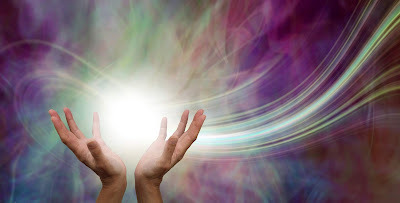 Healing with prana is a treatment without contact, because, as well as reiki, it is implemented by directing energy. The patient sits calmly in the chair, with his palms facing up and placed on his knees. The tongue is set to the upper palate, allowing unhindered breathing, that is, the flow of energy through the body. Prana therapist detects blocked spots on the body, places where negative energy is accumulated or there is a lack of energy. Treatment with prana is carried out as an additional method in conventional treatment. Its advantages are: not an aggressive, natural method of healing, strengthening the immune system, balancing the mental, emotional and physical body. What are the 4 types of prana? Apana is the life-force of excretion. The centers of this prana are intestines, urinary bag, testicular glands, ovaries, and uterus. When the life force through these centers is established and in the balance, then there will be no illness. However, if the flow of this energy is disturbed, there will be constipation, bleeding, cough, asthma, and hiccup. Samana is prana related to the processes of absorption of nutrients, which give energy to the body. The stomach area is the center of this prana, because it is considered a center of growth and feeding. Disorders of assimilating life force result in nervous diarrhea, dyspepsia (digestive disorders), cramping of the gut, irregular urination, obstipation, and the like. Udana means "energy that rises." It is a force that causes the contraction of the thoracic muscles and thus raises the air through the loud wires. All physical activities that require effort and power depend on this life-force. It is located in the throat, upper part of the pelvis, all the joints, legs and arms. Vyana is a life force of contraction or contraction. All rhythmic and non-ritual contractions are due to this life-force. It is present throughout the body and manages the process of relaxing and tightening autonomic and vegetative muscles. This force also controls the movement of ligaments. She is involved in opening and closing voices. Ears, eyes, neck, ankles, nose and throat are considered the main centers of this life force in the body. Fibrosis, sclerosis, atrophy, and pain in muscle and nerve fibers are the result of a contraction in the life force of the contraction.